"Jenny Holzer: Thing Indescribable" is now on view at the Guggenheim Bilbao. 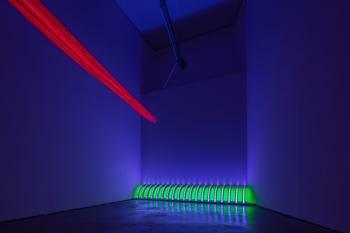 The exhibition explores the entire span of Holzer's work starting in the mid-1970s through four decades of her career. Curated by Petra Joos in collaboration with the artist, the show also highlights Frank Gehry's architecture through site-responsive installations. Through September 9. Louise Bourgeois: The Eternal Thread is the first large-scale museum exhibition in China of work by Louise Bourgeois. 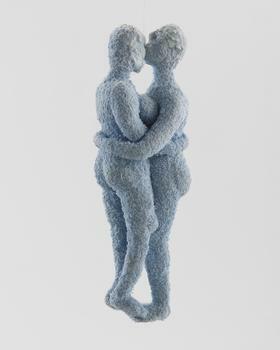 The show offers a focussed survey of major works from the artist’s entire career, including Personage sculptures from the late 1940s, Cell installations from the 1990s, the fabric works of her final decade, and the monumental spider sculpture Maman. The motif of the uncut thread references the prominence of fabric and sewing in the last fifteen years of Bourgeois’s life. ​The exhibition was previously at the Long Museum, Shanghai. 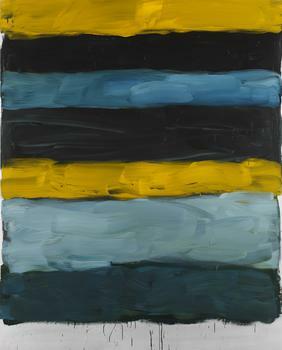 "Sean Scully: Landline" is on view at the Wadsworth Atheneum Museum of Art through May 19. Curated by Stéphane Aquin, the exhibition focuses on Scully's exploration of sublime elemental relationships through a variety of media. 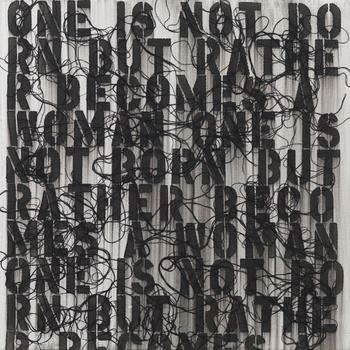 The exhibition originated at the Hirshhorn Museum and Sculpture Garden. "A Vision for Painting" opens on February 20 at the Fondation Louis Vuitton. 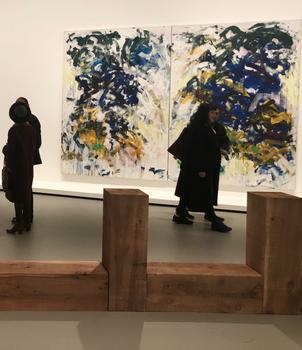 Featured will be works by Joan Mitchell, as well as a group of 22 international artists in the museum's collection. The works span the 1960s to present and are unified by the multi-faceted theme of painting. Five of the Mitchell works that Cheim & Read placed with the Fondation will be on view. Curated by Suzanne Pagé and Sébastien Gokalp. 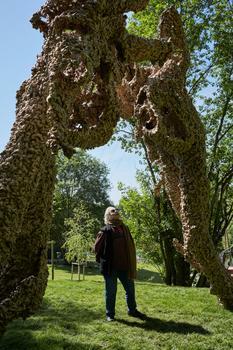 A site-specific commission by London-based artist Paul Morrison was recently unveiled at the Norton Museum of Art. The 24-carat gold leaf and acrylic wall drawing is the largest that the artist has created to date and positions the viewer within a fantastical landscape. Morrison's compositions are the result of an intensive and detailed process which rethinks spatial and historical juxtapositions. He manipulates his selected source imagery, removing color and editing detail; separate images are then collaged to create an original composition. 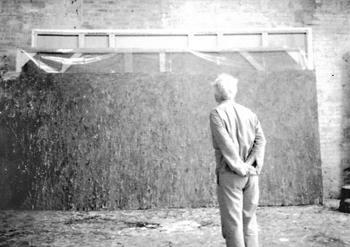 Tal R: THE MINUTE is now on view at the Rosenwald-Wolf Gallery, University of the Arts, Philadelphia. This will be the first time the artist's work has been shown in Philadelphia and includes important recent work. On Friday, Nov 9 5:30 PM Tal will be in conversation with​ ​Sid Sachs, Director. Through November 16. 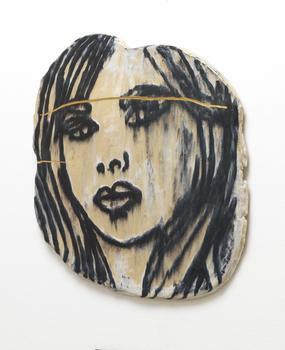 "Ghada Amer: Ceramics, Knots, Thoughts, Scraps" opens at Dallas Contemporary on September 30. This will be the first comprehensive exhibition of Amer's work in ceramics. On view through December 17. The artist will be in conversation with curator Justine Ludwig at 1:00 PM on September 22. 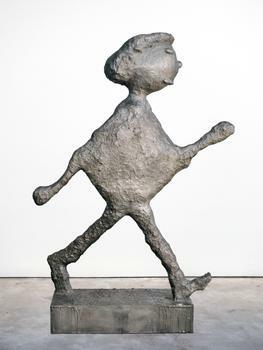 An exhibition of recent large-scale bronze works by Donald Baechler ranging from 2003 to the present, curated by Gigi Kracht. ​On June 2, the exhibition Dark Continent​ will open at ​Centre de Création Contemporaine Olivier Debré​ in ​​​Tours, France​. The title, Dark Continent, is a reference to Sigmund Freud, in The Question of Lay Analysis writes: "The sexual life of adult women is a dark continent for psychology." This will be Amer's​ first ​solo ​museum exhibition in France since 2000​ and will include painting, sculpture and a garden installation. Curated by Elodie Stroecken and on view through November 4. 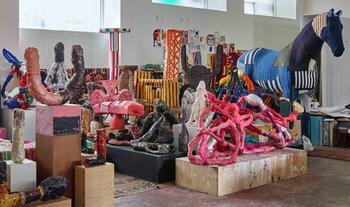 ​In September, ​Dallas Contemporary​ will present the first comprehensive exhibition of Amer's ceramic works. Curated by Justine Ludwig.